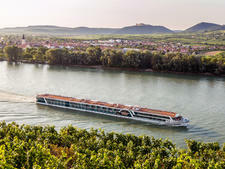 Austrian-based Amadeus River Cruises will expand its fleet to 14, with the debut of its latest premium vessel that features large walk-in closets in every cabin. 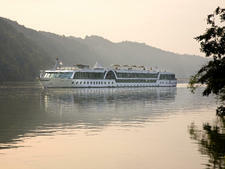 The 140-passenger Amadeus Provence is currently being built in the Dutch De Hoop Shipyard. 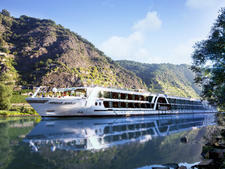 It launches in April 2017 and will join the lines' two other ships -- Amadeus Diamond and Amadeus Symphony -- in France. 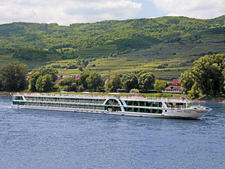 The 62 standard cabins measure 188 square feet, offering more space than the other two French vessels. The staterooms on the lower Haydn Deck have fixed windows. Standard staterooms on the Mozart and Strass decks have panoramic French balcony windows, extending the width of the cabin, with drop-down windows to halfway, creating the feel of a balcony. All cabins have a safe, telephone, desk with chair and a choice of double or single bed configuration. There are eight one-room suites on the upper Mozart Deck measuring 284 square feet that include walkout balconies and a corner sofa in the cabin. Suites also have a mini-bar. The Panorama Restaurant, the main dining room on all Amadeus vessels, serves buffet-style breakfast with a menu of waiter-served dishes, a served lunch with a salad bar plus a five-course evening meal. A lighter lunch alternative is served in the lounge. Complimentary wine, beer and soft drinks are available at lunch and dinner. Afternoon tea is served each day and there is a 24-hour self-serve tea and coffee station. 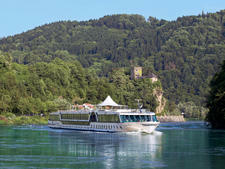 Onboard facilities include a small swimming pool and lido bar, alfresco glass-shielded River Terrace, gym, hair salon and massage room. 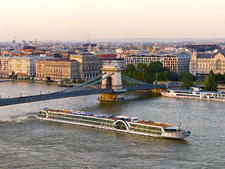 Unlike the majority of river cruise lines, daily excursions are not included in Amadeus' fare. This is especially good for passengers who might have visited the area before and simply want to relax or sightsee independently, and offers other passengers the option of going on as few or as many excursions as they want. 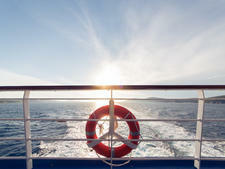 Excursion packages can be booked in advance or onboard the ship. 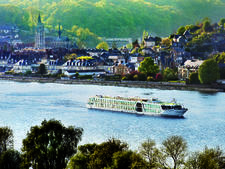 Amadeus Provence will sail on the Rhone and Saone. 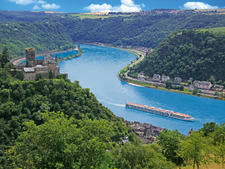 Itineraries include the eight-day cruise French Savoir Vivre, a round trip from Lyon taking in the Beaujolais wine area and Camargue nature reserve.